It’s been a busy few weeks, and there’s a considerable backlog to get through. The end of the summer has seen a flurry of defence industry and procurement news. In the wake of a searing indictment of the UK’s aircraft carrier program by parliamentary committee, BAE Systems announces the beginning of testing for the Artisan 3D radar intended for installation on the new carriers, the Type 23 and future Type 26 frigates. According to the release, “The ARTISAN 3D Radar will provide extensive air traffic control and medium range tactical picture capability with ground breaking features such as tracking more than 900 targets at one time and has the ability to spot objects as small as a tennis ball travelling up to three times the speed of sound.” Details on this system are spotty so far; keep in mind, however, that despite the glowing language in the press release, it is really a low-bracket, medium-range surface combatant radar, equivalent in role to Thales’ Smart-S. The British MOD has signed a production contract for the Sea Ceptor surface-to-air missile, planned to replace the Sea Wolf missile on present and future British frigates. Sea Ceptor, based on the ASRAAM air-to-air missile, has a much improved range (over 25km) over Sea Wolf, but is still far inferior to the 50+ km range of Enhanced Sea Sparrow (ESSM) used by other NATO countries. Like ESSM, Sea Ceptor can be quad-packed in Sylver or Mk41 Vertical launch tubes. Unlike Enhanced Sea Sparrow, Sea Ceptor has an active radar terminal seeker head intended to alleviate the burden on shipboard fire-control radars during a saturation missile attack. In related news, Russian sources have stated that Pantsyr, the gun-missile point defence system which succeeds the Tunguska system on land, will also begin to replace Tunguska’s naval equivalent Kashtan within two years. Kashtan is currently the only integrated gun-missile CIWS system in existence, and is a formidable defence against anti-ship missiles in its own right. 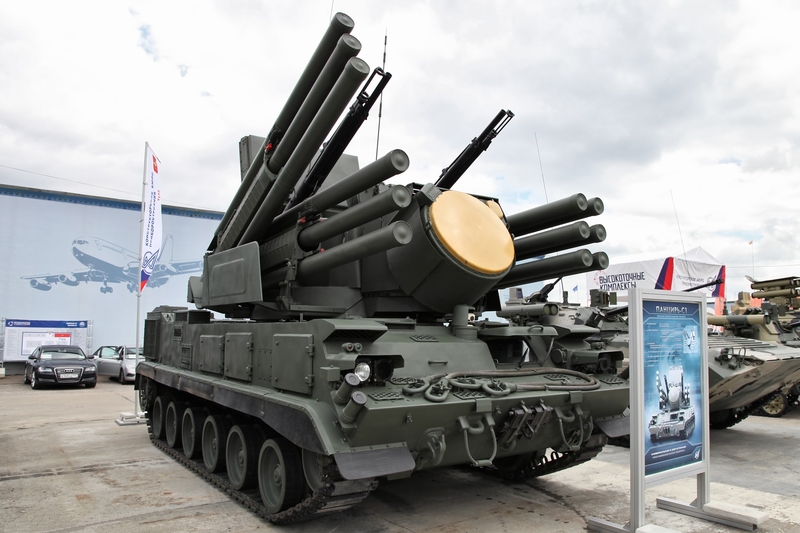 Russian defence industry exhibited some “new” missile systems at MAKS 2013. The Vympel RVV-BD air-to-air missile, in development for years and first exhibited at MAKS 2011, follows on from the AA-10 (R-27) Alamo long-range missile used on the MiG-31 Foxhound. Vympel has said that it is now looking to integrate the RVV-BD with a range of platforms, including the Su-35. Note that this is no guarantee that the Russian military will buy it- the existing AA-12 (R-77) is said by some sources to have a 100 km range, and a ramjet-powered follow-on with greater range, the RVV-SD, was unveiled at MAKS 2009. Russia may have yet to buy any of their own more recent medium-range air-to-air missiles in significant numbers, although India has probably done so as part of their Su-30 and MiG-29K orders. Vympel’s ~200km range RVV-BD should probably be seen as a specialist long-range weapon for particular roles, a successor to the “AWACS-killer” concept. In any case, if the Russian government is showing their high-end air-to-air missile families any love in connection with their recent fighter orders, it has yet to be reported. For perspective, Europe’s first 100km+ long-range missile, the Meteor, was fired undergoing test-firings earlier this summer, while the AIM-120D version of the AMRAAM missile, with 120km range, has completed testing. 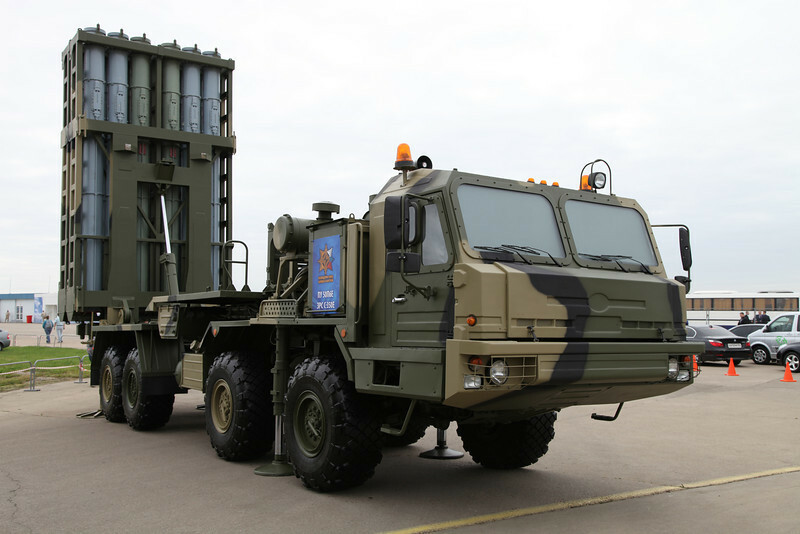 The S-350 Vityaz system, a land-based Surface-to-Air missile system, was also exhibited at MAKS for the first time. This system uses the 9M96E2 medium-range missile from the S-400. S-400 has three associated missiles, ranging from 400km extremely long range missiles to the 120km 9M96. The advantage of the S-350 is in giving the 9M96 its own dedicated tubes, allowing twelve smaller tubes per vehicle rather than the four giant tubes of S-400. S-350 will also carry a shorter-range, more agile missile, the 9M100. The S-350 stems partly from Almaz-Antey’s involvement in developing the South Korean KM-SAM Chun Koong surface-to-air system. The S-350 will replace earlier models of the S-300 in Russia’s air defence network. As such, it will not be replacing the SA-17 Grizzly/ Buk as the Army’s medium-range SAM. Defence Industry Daily provides a typically thorough précis of the Littoral Combat Ship program’s struggle to develop useable (and useful) mission modules. It’s one of those stories that would qualify as comedy if it hadn’t wasted so much money. An article at the Diplomat finds cause, albeit tenuous, to hope that Chinese President Xi Jinping is looking to reduce tensions in regional territorial disputes. In the same publication, a review of South Korea’s ambitious submarine program on the occasion of the launching of their fourth Type 214 air-independent submarine. A new class of heavier domestically-designed submarines is planned from 2018. From Forbes, it seems that BAE Systems is the new dynamo of support contracts, beating out well-established competition. The Canadian-American Strategic Review has a piece on Canada’s long-running and distinctly unproductive program to replace the Aurora maritime patrol aircraft. Given that Canada tends to use these aircraft for anything and everything but their intended anti-submarine warfare and maritime strike role, who knows what their replacement might look like. From Defense Issues, a how-to piece on evading air-to-air missiles, and of course, much useful material on many of the procurement programs mentioned here. For those who don’t know it, The 3Ds, blog of the Canadian Defence and Foreign Affairs Institute, is well worth checking out. Mark Collins provides excellent sources and commentary on (primarily but not exclusively) Canadian defence matters. You’ll also see a few of my articles, and occasionally material from great Canadian historian and defence expert Jack Granatstein, noted diplomat Colin Robertson and a range of other CDFAI associates, all of them interesting. India’s first indigenous nuclear submarine, the Arihant, launched in 2009, has brought its reactor online and is to start sea trials. It may seem a long time to wait, but such is the way of India’s defence programs. Arihant itself is likely to be a stepping stone to more advanced designs. It is designed with strategic functions in mind, with twelve intermediate range ballistic missile tubes. The K4 SLBM is slated for testing. While they wait, India is reportedly negotiating to lease a second Russian Akula II class attack submarine. Meanwhile, more delays are likely to hit Vikrant, India’s first indigenously-built aircraft carrier. With an estimated in-service date already pushed back by four years to 2018, navy sources now say that it will not have completed sea trials until 2020. 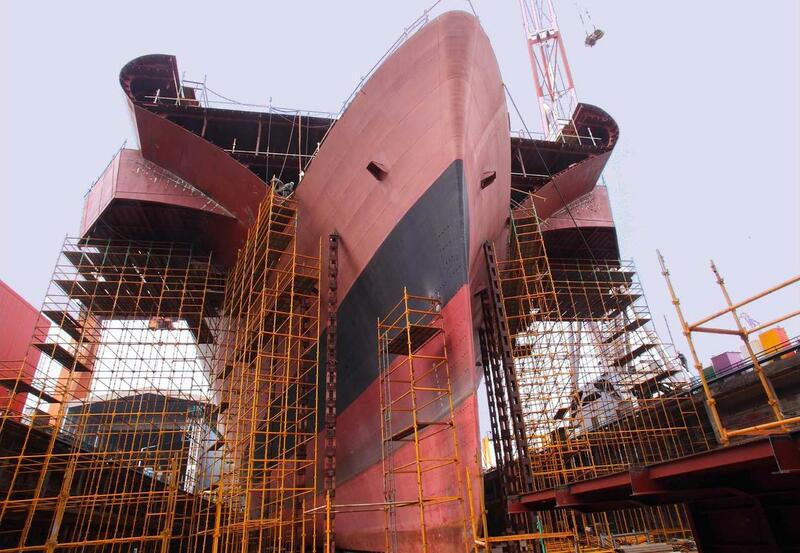 While it is planned to launch August 12th, Vikrant as yet has none of its propulsion systems installed, and piping will be laid while the carrier is tied alongside. 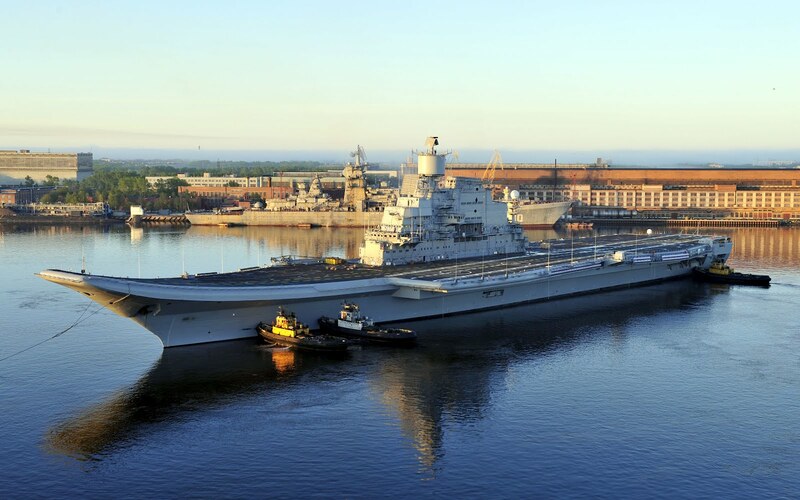 These delays are partially attributed to the difficulty of procuring needed parts from abroad and the five-year delay and vast cost overruns experienced with the Vikramaditya, the rebuilt Russian carrier formerly named Admiral Gorshkov. India plans to build up to two more carriers of a larger design. All future Indian carriers will carry the MiG-29K Fulcrum, and notionally a naval variant of the HAL Tejas. The latter is a small, locally-developed fighter, which took over two decades to achieve operational capability. There are a number of fighter competitions coming up in the Persian Gulf. Bahrain has expressed an early preference for the Eurofighter, citing the advantages of standardising with Saudi Arabia, which is in the process of taking delivery. As further competitions develop in Kuwait, the UAE and Qatar, it will be interesting to see whether that idea gains ground. If so, it would be a major boon to a beleaguered program. Negotiations are in progress for a 60-aircraft order for the UAE, while Saudi Arabia, the ultimate splurger of the region, may buy between 48 and 72 additional aircraft. Russia has invented a new “sporting event”- the tank biathlon– and has got agreements from the United States, Germany, Italy and a few eastern states to send teams. While not substantively different than other standing tank competition, the East-West dynamic does add an element of interest. Oddly, the announced purpose of the games is to showcase the quality of Russian equipment against its Western equivalents, and yet the Russians are to limit themselves to Cold War vintage T-72s. Meanwhile, Russia is set to take delivery of its first T-50 stealth fighter, which will start military flight testing before the end of the year, with operational status anticipated in 2016. The perhaps inaptly-named Global Force 2012/2013 reports on the operational readiness of a Royal Navy that has been rapidly shedding key elements of its expeditionary capability for several years. Nevertheless, for anyone interested in the state of key Royal Navy capital programs, this is an essential and fairly comprehensive source. Russia’s massive Eastern exercise concluded last week, the final numbers are out, and a number of key problems ranging from technical difficulties to marksmanship have emerged. Just what the exercise was preparing for remains a mystery. Indian Think Tank IDSA writes with understandable concern about the rise of both Chinese and Japanese nationalism and its implications for the region. The US Air Force is diversifying its basing options and increasing its presence around China’s periphery. Given that a RAND Corporation report (later disavowed by the company despite being impeccably reasoned) several years ago showed that the US would lose an air war with China over Taiwan even in perfect conditions, partly due to limited basing options, this is a reasonable move. Japan may also be feeling the heat from a PLAAF that is approaching parity in quality of equipment and already outnumbers the Air Self Defense Force by a considerable margin. On the other hand, the risk of provoking an arms race in a region that has so far avoided anything that could justifiably use that label should be taken seriously. A prison break in Pakistan frees 248 Taliban– bad news for a country in which some regions are at the mercy of jihadist groups, and a further bad sign for Afghanistan, which waits for the final withdrawals of Western forces with understandable apprehension. Francois Godement’s paper for the European Council on Foreign Relations on the new Chinese party leadership argues that Xi Jinping has accumulated substantial personal power in excess of his predecessors, albeit at the cost of catering to the interests of Party elders. Worth a read for anyone interested in China’s internal politics. Interestingly, former president Jiang Zemin, widely seen as the leader of the Party’s conservative wing, recently publicly endorsed Xi, a clear call for Party unity that has suggested to some that Xi’s authority is not all that it could be. It is worth remembering, however, that Hu Jintao’s tenure as president was always limited by the fact that he was a compromise candidate from Jiang’s perspective, with the result that Jiang kept behind-the-scenes control of his faction of the Party. Hu and his premier Wen Jiabao spoke often about Party reform, but never seemed able to accomplish it. Xi, by contrast, was Jiang’s hand-picked successor. Jiang’s pronouncement may be seen as a call for unity around Xi’s energetic if not yet effective approach to tackling Party corruption. Meanwhile, former Chongqing Party chief Bo Xilai, once at the pinnacle of populist politics, is to face trial on charges of graft and abuse of power. Vice President Li Yuanchao is headed to Pyongyang to celebrate the anniversary of the end of the Korean War. This will likely be one more forlorn call to North Korea to embark on the path of reform and opening- a longstanding Chinese agenda whenever state visits occur between the two countries. A mass protest was held today outside the Chinese consulate in Manila against Chinese aggression in territorial disputes with the Philippines. The protesters rightly point out that such disputes tarnish China’s image as a benevolent power. In other news, Defense Industry Daily reports the possibility of a submarine deal between Poland and Germany. Germany may lease two of its U212s to Poland, allowing Poland’s old ex-Norwegian Kobben class subs to retire. If completed, the deal would also provide for a joint submarine operating authority, a sensible move for both Baltic countries. A letter of intent between the two defence ministers also includes cooperation in logistics vessel procurement, good news for Poland’s waning shipbuilding industry.